Raven SEO Tool Review- How Good is Raven? You are here: Home / SEO / Raven SEO Tool Review- How Good is Raven? If you are a webmaster then search engine optimization is a necessity and unfortunately it is not one of the easiest thing to do. There are bunch of activities you need to perform and on the top of that, you need to maintain track of every activity. Over optimization is equally bad and can kill your websites ranking. Therefore you need to ensure that you are not over-doing optimization. This is why you need something to provide you exact information about your SEO level. If you are using wordpress then SEOPressor is enough for you which will ‘not only’ tell you about the current optimization level but also, about over-optimization. But it could be a tedious task for non-wordpress users to perform seo activities and keep a track of them. This is where SEO tools are required so badly. There are bunch of seo tools which are out there and this adds to the confusion. Today I will take you through Raven SEO tool which is one of the most popular SEO tool around. As mentioned earlier, seo tools are a necessity for webmaster manageing non-wordpress sites. I don’t mean to say that wordpress users can’t use them but wordpress users can manage with economical options like SEOPressor where charges are one-time and not recurring. Most of the good SEO tools are expensive and will cost you every month. Raven seo tool is also fairly expensive and will charge you a monthly fee. So how good is Raven? Raven is one of the most popular and most established SEO tool around. They provide everything under the sun for optimizing your site to rank it higher. Each of the above mentioned activities are huge and it is rare to find any one tool offering all of them. In fact, I haven’t seen any tool providing information about page speed which is crucial for high ranking on Google and other search engines, Raven does that. Raven is not an ordinary SEO Tool, it is a comprehensive internet marketing product suite which is consist of multiple tools. As you can see, you are getting a plethora of features. And yes, they all are indeed extremely crucial in ensuring better ranks for your website. Just look at site finder, it will provide information about top ranking websites for a particular keyword. This feature is in addition to the competition manager which provide great information about your competing website. The best part about Raven is the fact that you are not getting just one SEO tool when you purchase Raven, you are getting six leading SEO Tools like Majestic SEO, Moz, Google Adwords, Wordtracker, Wordstream and CALAIS. For example when you run a keyword research using Raven, it will fetch data from these services which will provide you much better information. Combination of these different seo tools make raven as one of the most strong contender in SEO industry. Raven provide excellent tools to manage your social media marketing campaigns. You don’t need separate SEO tools to manage your social media campaigns with Raven. You can manage around a dozen social profiles using Raven. You can monitor stream, keep an watch on social discussion and look into their metrics. If you are a wordpress user then you can do same using a economical wordpress plugin which is known as social metric pro. If you are running a pay per click campaign then Raven can help you in generating better information and improving your targeting. You can increase efficiency along with reducing your overall PPC cost. 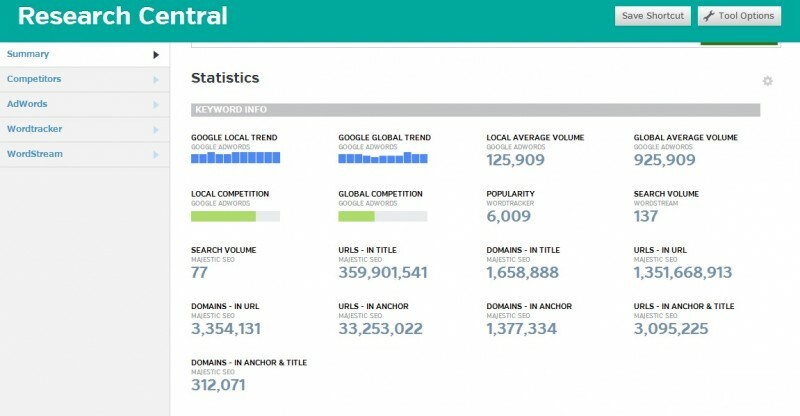 Reporting tools are great for SEO professionals who have to generate report for client distribution. As mentioned earlier, Raven provide information about page speed. It also provide critical information about other aspect of your website promotion. Integration with google analytics, email marketing campaign and event manager are other features which are provided under metrics to improve your marketing and promotion activities. Integration with email marketing campaign is one rare feature offered by Raven. Email marketing is crucial for any kind of website and online business and yet I don’t see many seo tools offering this piece of must have feature. I am using GetResponse so I cannot integrate it with Raven. Luckily GetResponse provide great email analytic and I am fine with that. Raven, as usual, provide whole lot of feature for content creation, optimization and promotion. Raven has integrated well known and most popular content optimization service, Scribe. Scribe is one of the best content optimization service. Also, you can order article from Textbroker without leaving your Raven dashboard. You can work on your Press Release using PR Newswire from Raven dashboard. If you don’t want Raven but interested in Scribe, you can avail it as a standalone product also. Click Here To Know More about Scribe. Raven is one of the most comprehensive seo tool which provide everything available to optimize and promote your website. As Raven provides everything, it comes at a price which is slightly higher than other tools. 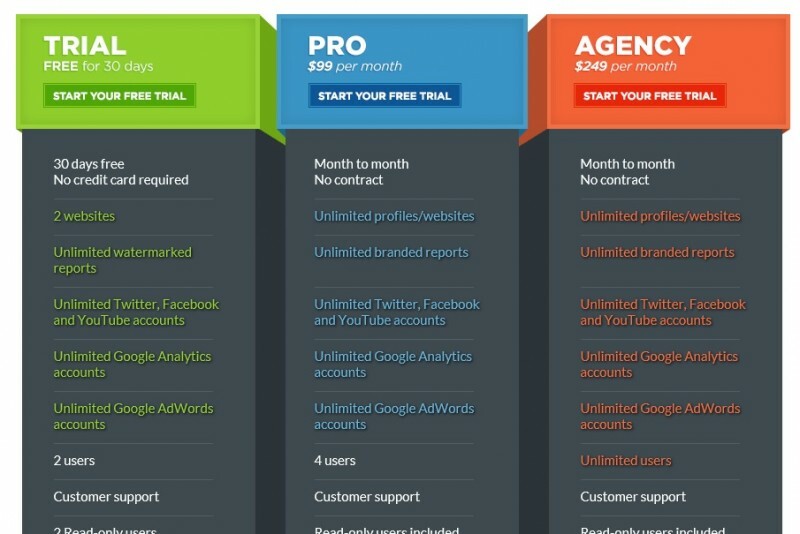 Raven’s Pro package is priced at $99/ month and Agency is priced at $249/month. For SEO Professionals, Raven is best. But for webmasters and blog owners who are looking for economical but similarly powerful seo tool, I will suggest SEOProfiler. SEOProfiler is best for webmasters and bloggers who want to achieve high rank on search engines without spending too much of money. To read detailed review of seoprofiler, click here. Raven is one of the best seo tool money can buy for you. it provides everything required to optimize and promote any kind of website. In fact, Raven is not a mere seo tool, it is a complete internet marketing and promotion tool and that’s why it is priced slightly above other SEO tools. Raven is not meant for small bloggers who cannot afford $99/month. I will recommend them using seo plugins like SEOPressor and social metric pro to manage their seo and social media related requirements. You can try Raven for free and decide yourself. But yes, I will suggest to try SEOProfiler if you are tight on budget. Thanks for reading and leave your comments to share your thoughts about this Raven SEO Tool Review.